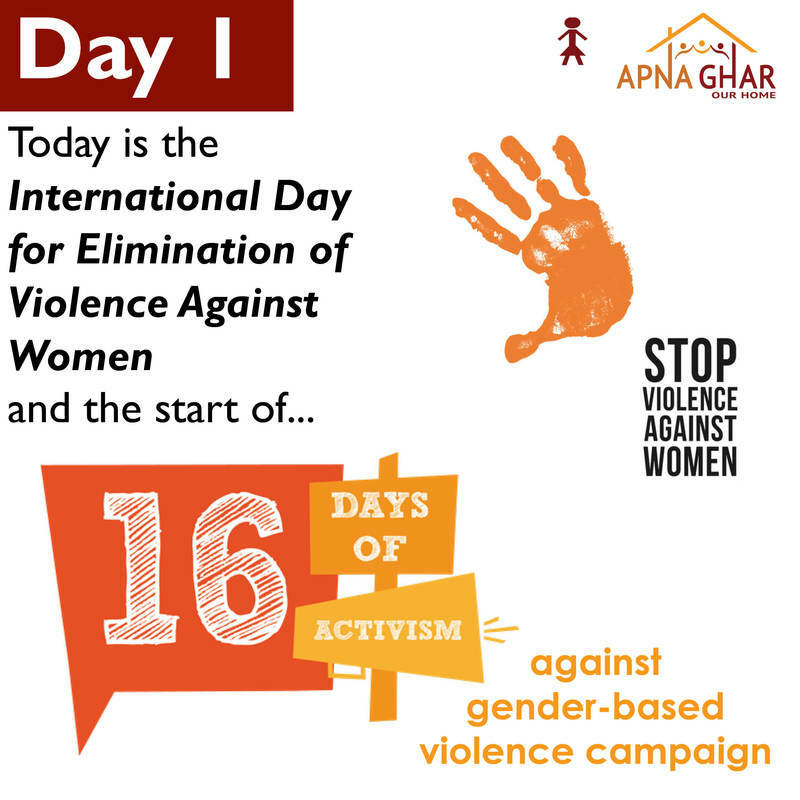 Starting on November 25th, the International Day for the Elimination of Violence Against Women, 16 Days of Activism against Gender-Based Violence is an international campaign to raise awareness and address violence against women and girls. 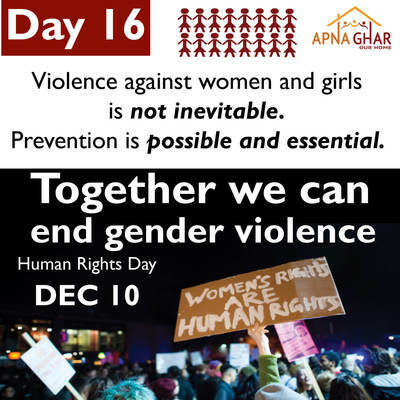 This year's theme is Orange the World: Raise Money to End Violence against Women and Girls. For more information about the initiative, visit http://www.unwomen.org/en/what-we-do/ending-violence-against-women/take-action/16-days-of-activism. 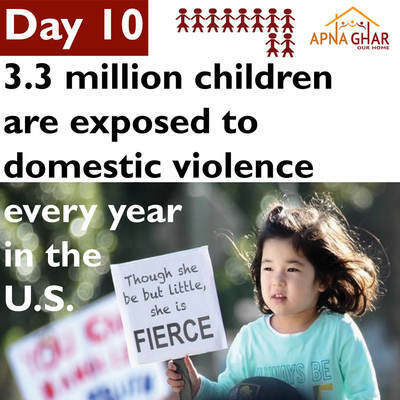 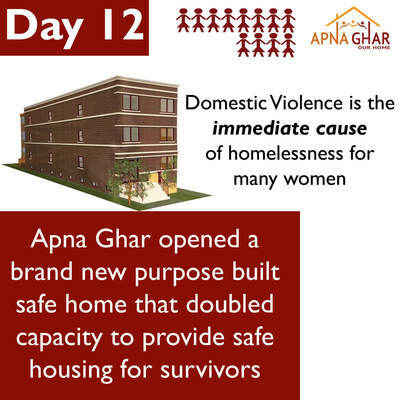 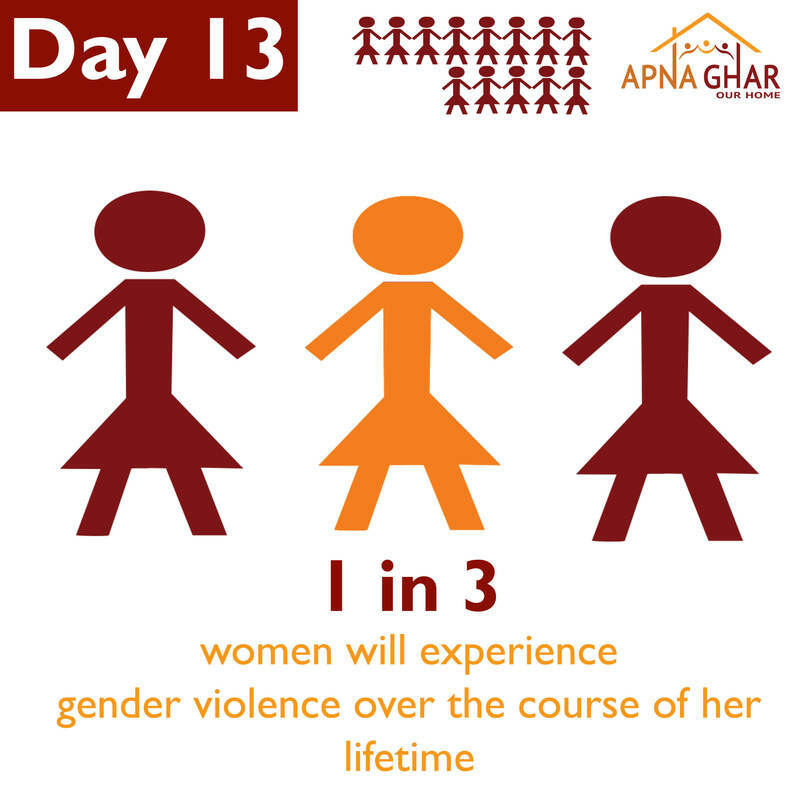 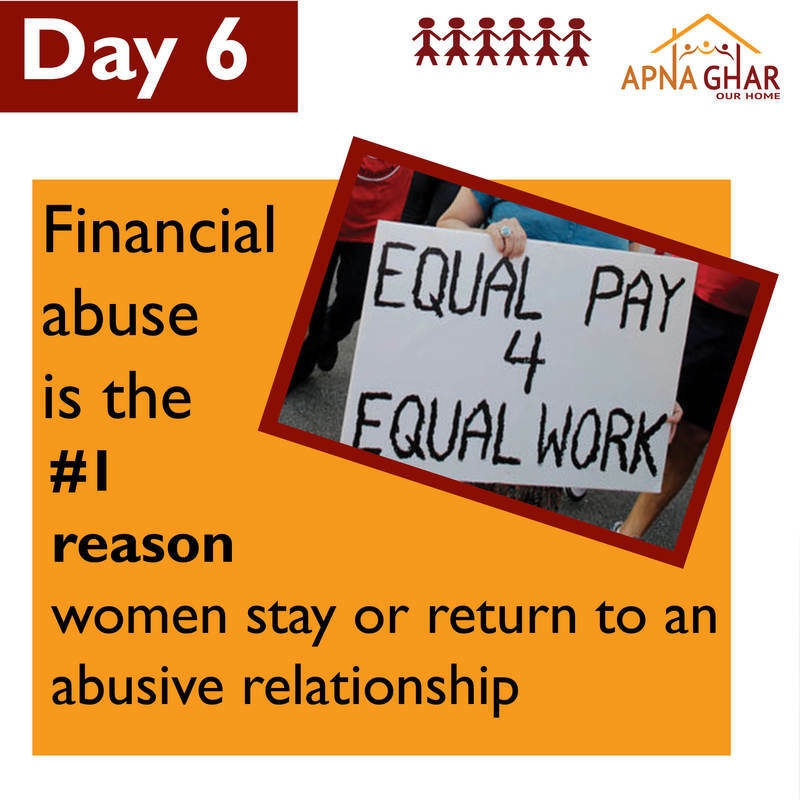 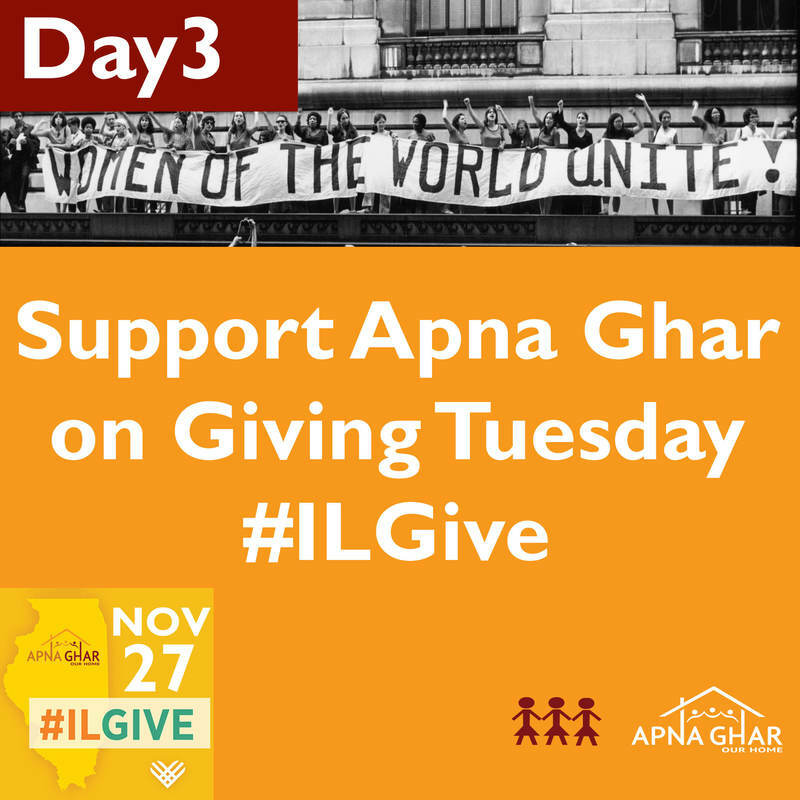 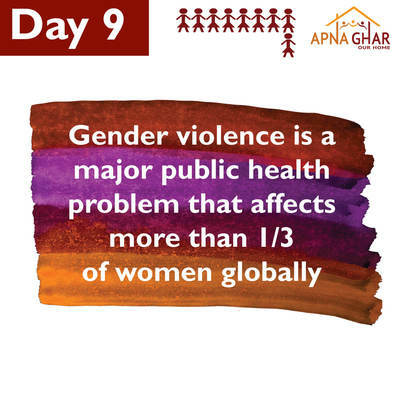 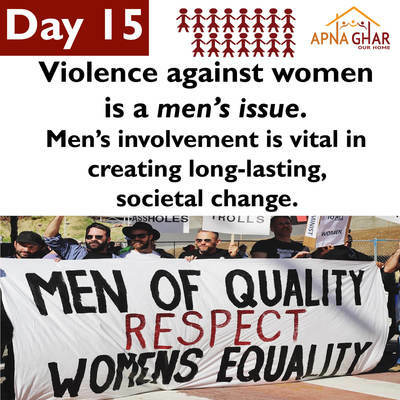 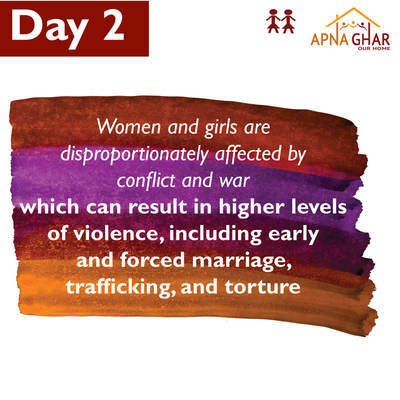 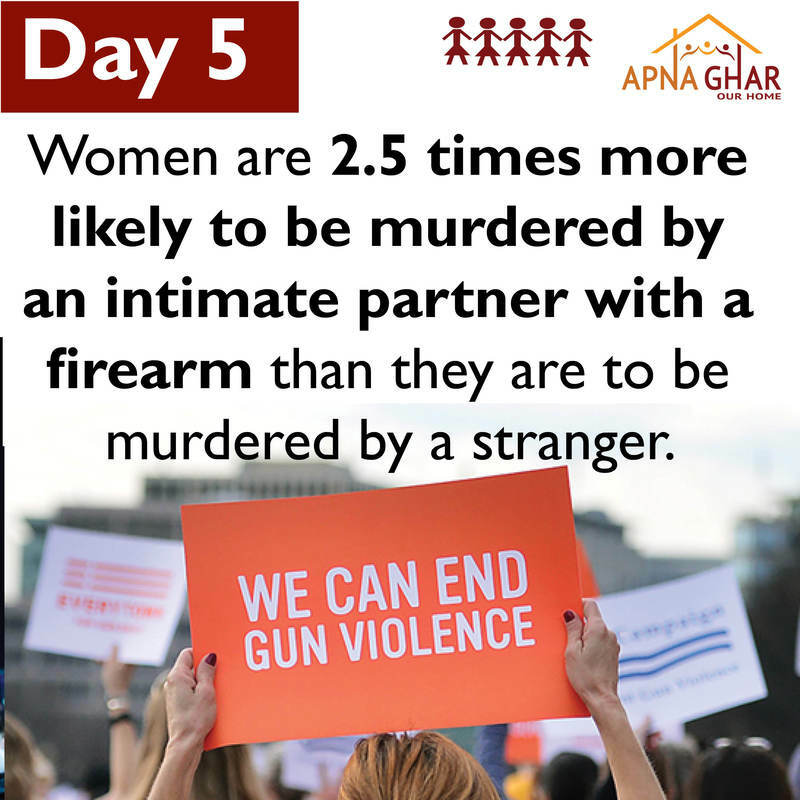 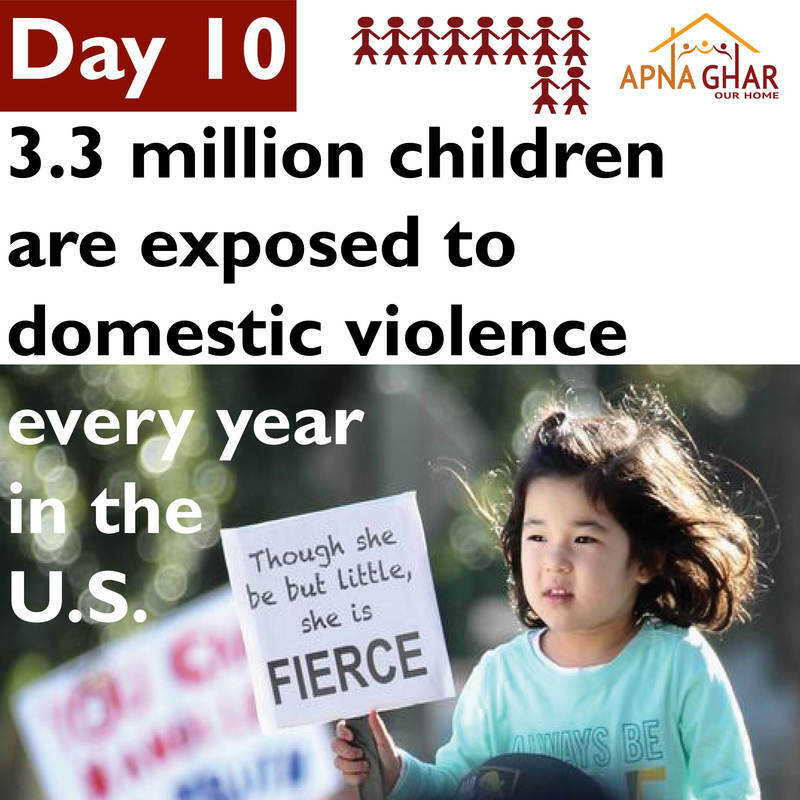 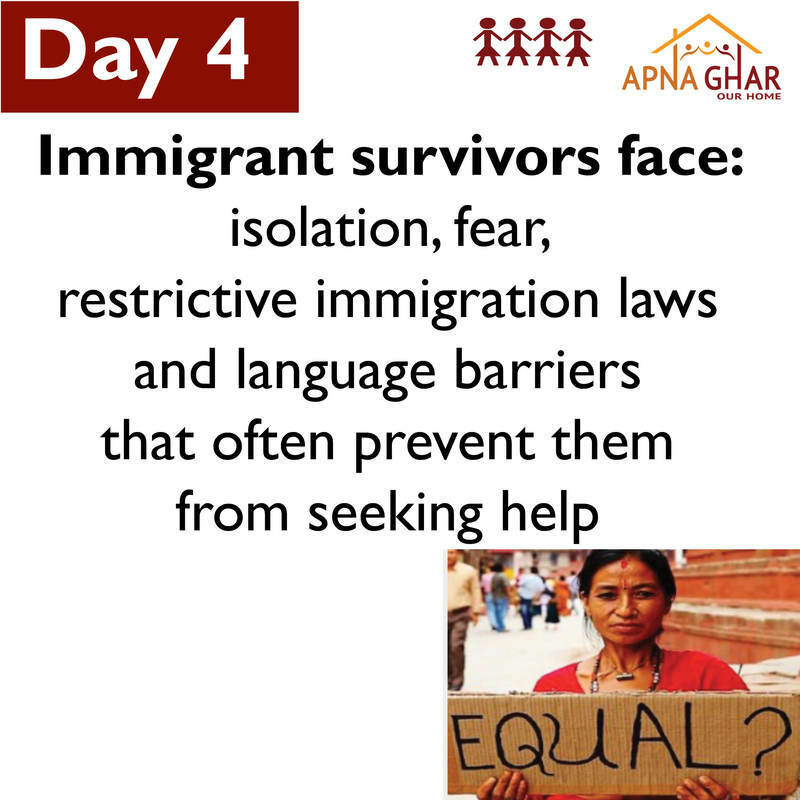 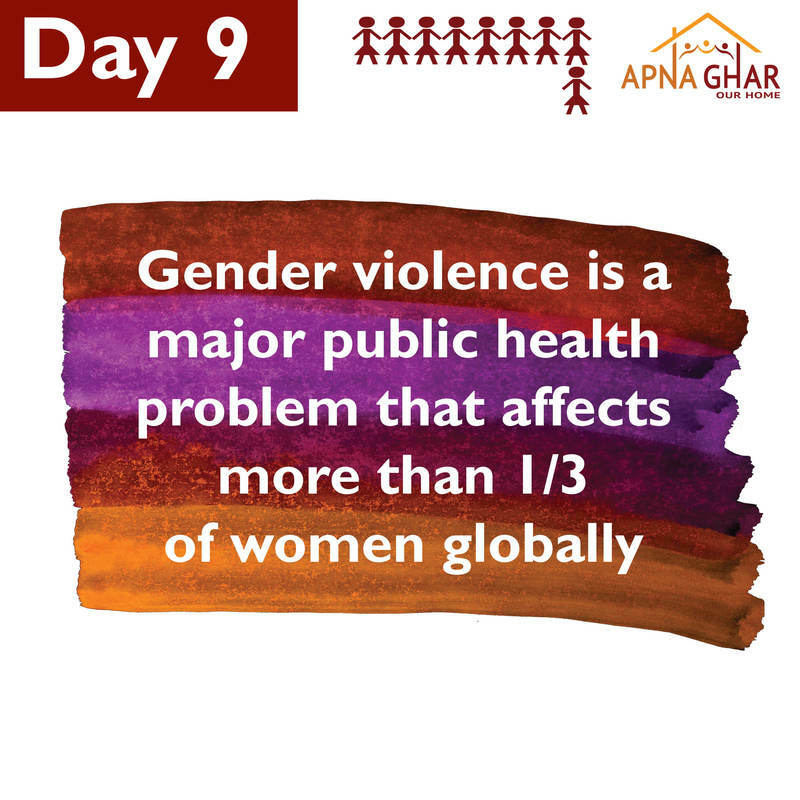 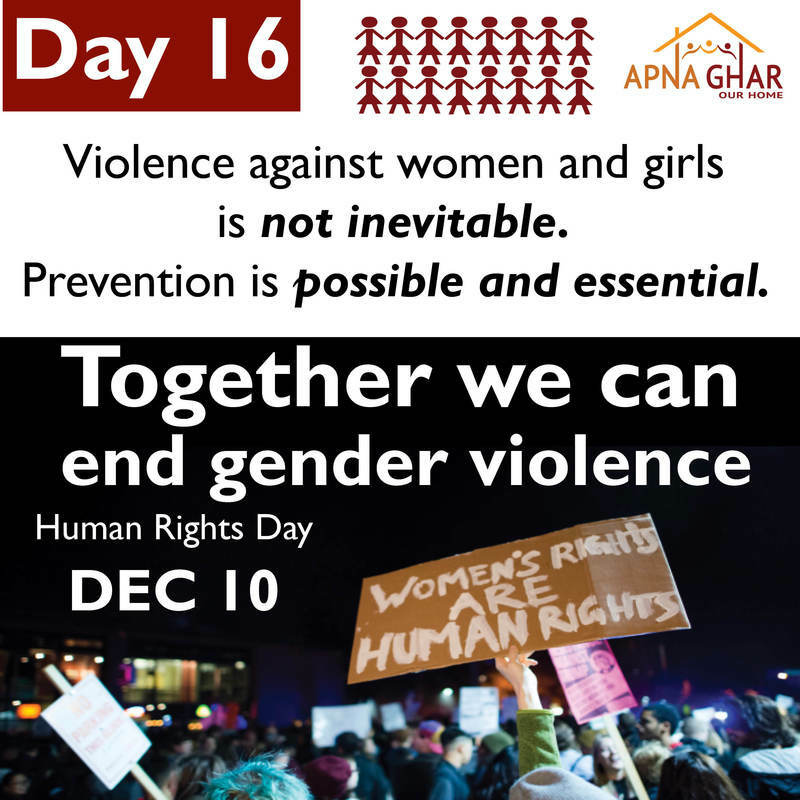 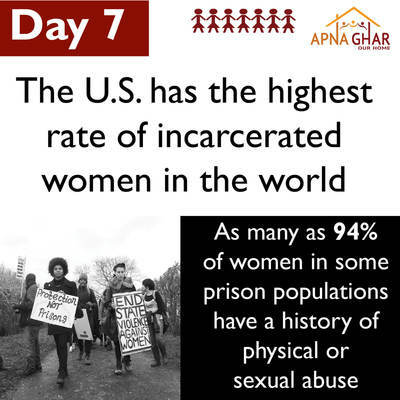 Follow Apna Ghar on Instagram, Facebook and Twitter to learn more about our work during the 16 Days of Activism. 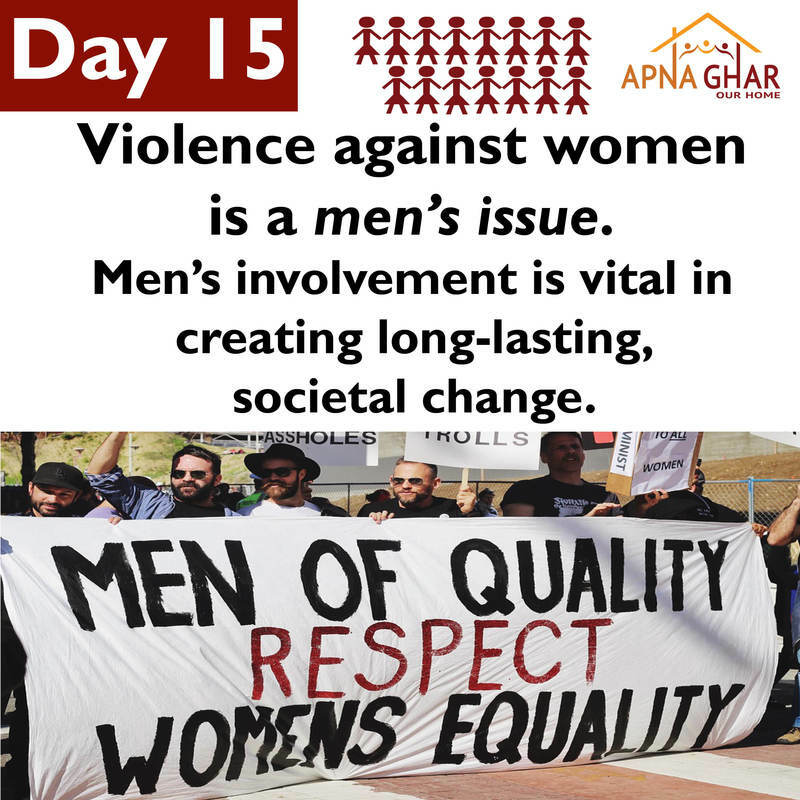 We will be posting each day on social media and will also post on this page.